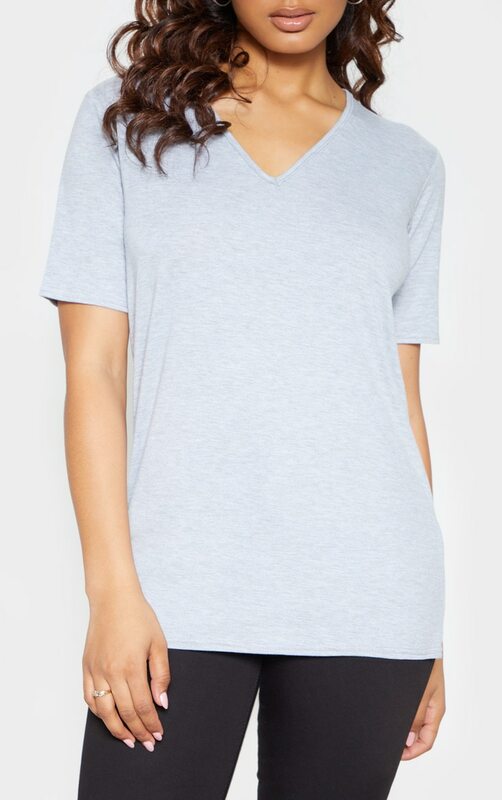 Ain't nothing basic about this t-shirt doll. 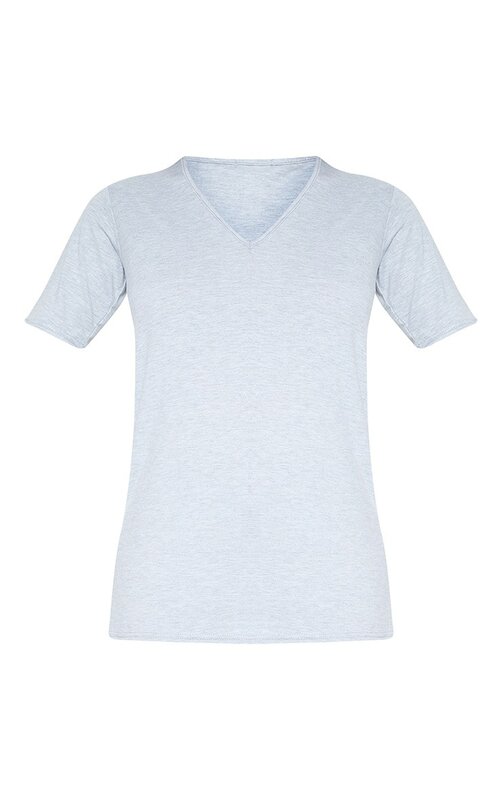 Featuring a grey fabric with a V neckline and loose fit, what's not to love? Style with ripped jeans, sock boots and a leather jacket for a look we're loving.